​All events and drop-ins scheduled at TFAC are listed on the Google calendar on the Calendar page of the Events menu. Click here for calendar! If you haven't been to the Triangle Fiber Arts Center in a while there's more to see and do all the time. 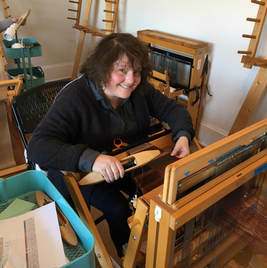 We have a large warping mill, five warping stations, oodles of yarn, lots of books, magazines, a Dorset loom for rental and more classes being planned. Drop ins are a great time to come by the TFAC, check out materials and socialize with other weavers! All members are welcome to come use the resources at the Center. You don't need to reserve anything in advance, just drop by. They are usually held at regular times on Tuesday and Saturday afternoons, but upcoming ones are listed below. You can always check out the full schedule of future and past drop ins on the Calendar page. Tuesday, April 23, 1:00-4:00 Drop-in with Janice Kohl hosting. This is a great time to come on by for a new book from the library or to get advice. This is the only drop-in this week since we are hosting a workshop in our classrooms this weekend. 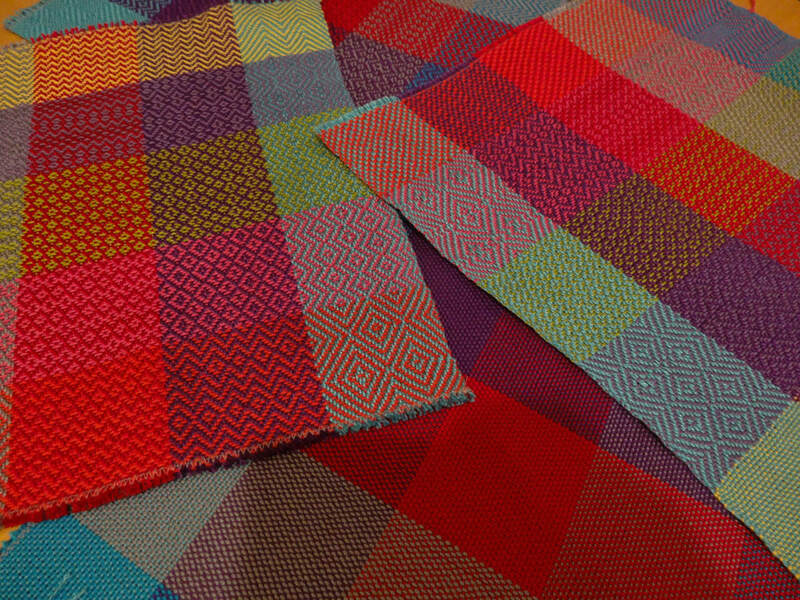 Saturday, April 27, 1:00-4:00 Drop-in No drop-in today due to the Acadian Weaving Workshop. ​Classes are taught by our talented guild members. These classes include beginning and specialty weaving classes, and classes in dyeing and other fiber arts, Workshops are usually offered in a multi-day format and are taught by nationally recognized instructors. ​Illoominations are member-led activities which may may have a nominal fee. These educational opportunities are open to guild members only and require pre-registration. ​For more details and to register online, visit the Illoominations page.